Manufacturer of a wide range of products which include continuous juice sulphiters, continuous syrup sulphiters and continuous sulphur burners. It can be designed and supplied as per the client's requirements. No moving parts & negligible maintenance. The pH of juice is observed at three places. During the process & addition of lime & SO2 is adjusted accordingly. Thus the process control is better. First optimum quantity of lime is added to juice irrespective of SO2 Gas production & then SO2 gas is added to neutralize the same. Surplus SO2 is used for syrup sulphitation. Pre liming, shock liming & sulphitation is carried out exactly as per the time intervals required by the process. Complete absorption of SO2 gas takes place due to minimum gas & juice contact time of 10 seconds. e) The flow of gas & juice is streamlined. Design is flexible to adopt different Processes i.e. preliming or pre-sulphitation or simultaneous liming & sulphitation. Continuous Syrup Sulphiters plays an important roll in sugar manufacturing process and to a grate extent it decided the quality of syrup to feed to pan. Considering this fact designing of syrup sulphitor comes under category of Chemical Reaction Vessel. Constant retention time at various crashing rate. Special designed syrup spray Nozzle. Simple but efficient Gas sparger. Evan pH at any point of sulphitor. Suphitation is the heart of sugar manufacturing process. Addition of adequate quantity of lime is prime importance and this can be achieve only when there is continuous supply of so2 gas to juice sulphitor. 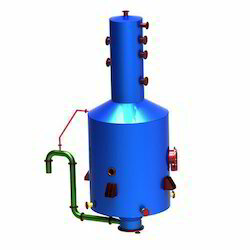 At the same time to reduce the sulphur consumption it is necessary to sulphur burner at different burning capacity as per fluctuation is crushing rate. 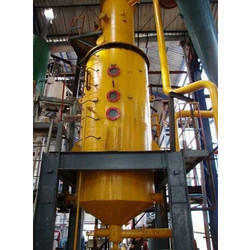 To suit this requirement Saisidha Sugar Equ & Eng Co.Pvt.Ltd has designed Auto continuous sulphur Burner. Sulphur burner is manufactured in various ranges depending on percentage, cane and crushing capacity. The complete panel, digitally illuminates the temperature of outgoing gas, vapors and sulphur melt. 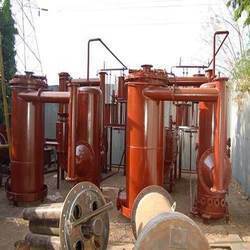 Provision of indication temperature of steam pressure of air and steam are also provided as options. The system has at least maintenance and once put on, will work continuously for days and weeks together before cleaning plus many problems of checking and jamming of sulphur melt handling. Valves just minimized and replacement of these valves is possible in minimum down time .No sublimation's better clarity due to requisite gas temperature and continuous flow. Following are the main features of this Burner. Easy temperature control at various stages of sulphur Burning. Steady flow of so2 is assured. Co-ordination with pH control system for juice sulphitation. Trouble free working of sulphur melt handling valves. Eliminates all drawback of conventional burner in all respects. Looking for Sulphitation Equipments ?